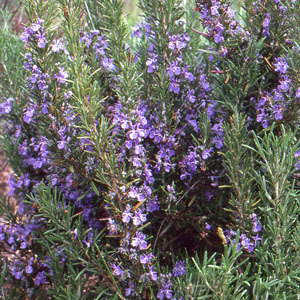 This is our favorite upright rosemary. The growth is stiffly upright and well branched and the leaves are of moderate width and glossy green. The bluish purple flowers are among our darkest. and are very showy. Categories: All Items, all potted plants, butterfly nectar plants, common names c-g, culinary herbs, deer resistant, Potted Plants, More..